Yogi Vikas has been practicing yoga since his childhood. After initiated into the Himalayan Yoga Tradition of Himalayan Yogis in an early age, he obtained a teachers training certificates. 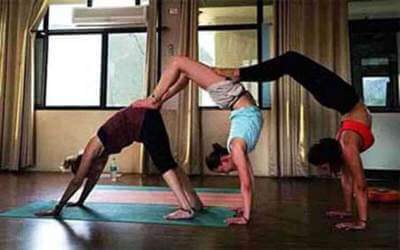 Yogi Vikas has a deep study and understanding on Hatha Yoga, Shivananda Yoga and Raj Yoga. He has studied acupressure, naturopathy, intensive courses and yoga therapy classes with many renowned Yoga Masters of India and received their blessings. With several years of teaching experience under the guidance of learned yogis in India, Vikas has escalated his insights of correcting and assisting yoga students.